This PSD file will demo creating custom CSS styles for HTML Forms and Input elements using Class Style Tags and Layer Style Tags. This will allow you to apply run-time CSS class styles to input elements for optimized rendering in browsers. Export Kit allows you to fully customize your web forms and data to create data-driven websites in a matter of minutes, without coding. Use unlimited input elements to generate the perfect web form. NOTE: Input Tag is best used with Form Tag. Learn more about Building Web Forms. Export Kit will translate your parent-child relationship in your folders, to give you full control over your PSD to CSS classes in your output. 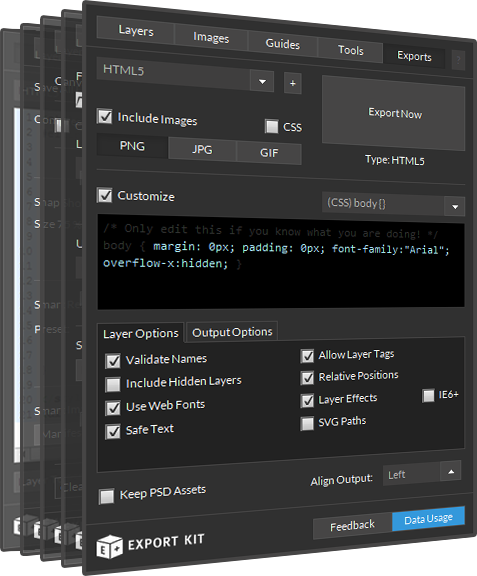 PSD to CSS3 Class Styles can be used to customize run-time designs to add different styles and effects, themes and skins, reusable images, and more. Learn how to Create CSS Class Styles. 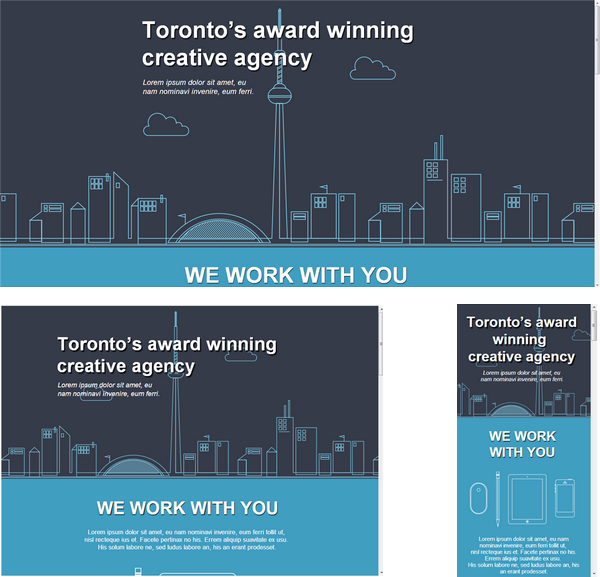 This sample uses various layer effects and styles to achieve the optimal layout. Effects are used in most common project designs and are easily managed with Export Kit. You must Enable Layer Effects to use this feature. Use Exports view to see the output of the document when using Input Tag. This example when exported, should be tested in each environment and various browsers to note the difference in output. Learn more about Input Tag. Export the PSD in your required environment to see how input elements are rendered in your output. Learn more about Using Exports View. 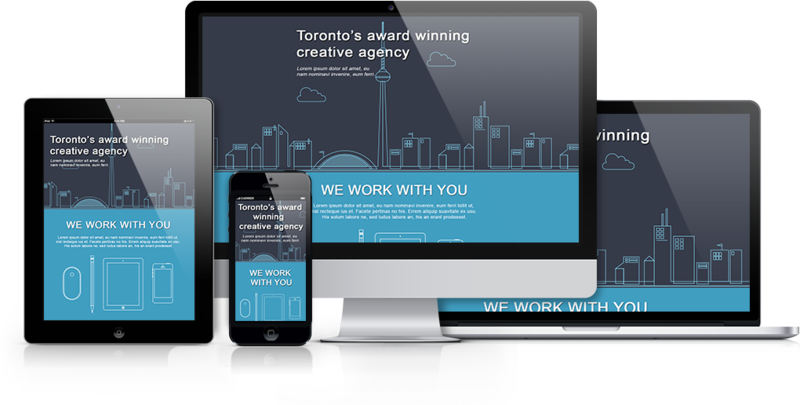 A clean responsive webpage design for 3 target screens.